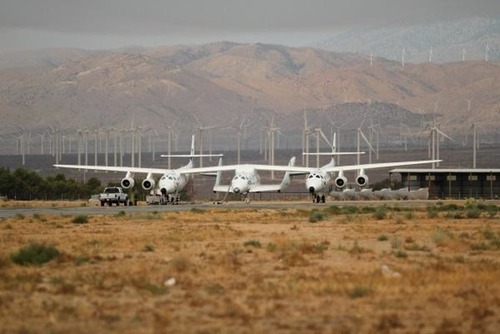 As all politicians know the worse case scenario is being perceived that you are not doing anything, so SpaceShipTwo has returned to the skies. The only people you are fooling VG are yourselves, to the public at large you are really starting to appear as a bunch of nervous virgins. Either light the thing up or stop pretending that you can get the job done. It’s looking increasingly likely that the XCOR Lynx will beat the Virgins to space…. Well, since they’ve installed fuel tanks in the wings perhaps they are determining the flight characteristics of the vehicle with these new loads. I wouldn’t light anything up until I’d made sure the thing wasn’t going to fall out of the sky due to a major design modification. That said, they’re continuing the spin and fooling a lot less than they used to. Do XCOR have anything actually flying yet?